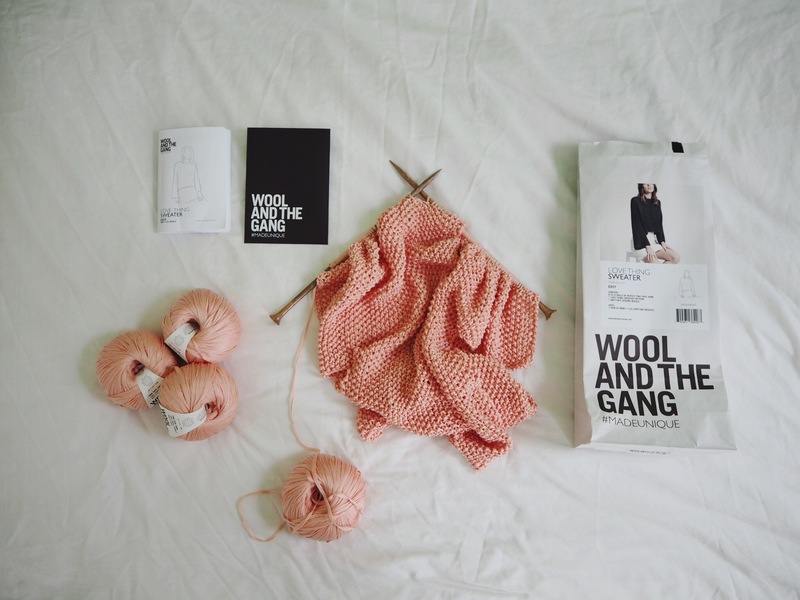 I have been a big knitter for quite some years so naturally I have kept my eye on Wool And The Gang. If you don’t already know them, I highly suggest checking them out. I love that they sell these ready to make kits with yarns, patterns and needles (if you need them). 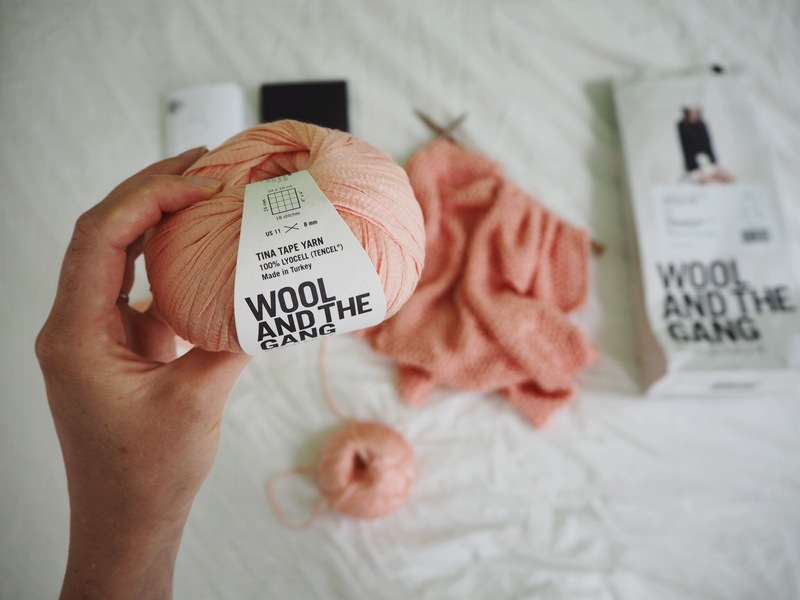 All you have to do, is decide the colour and size you want to make it in (a kit comes with enough yarn and a pattern description for three different sizes). However, it wasn’t until they launched these new yarns made from 100% Tencel® that I decided it was time to try it out. I went back and forth on which colour to choose. My first thought was to get the perfect peach – I’ve been lusting for something pink to add to my wardrobe for a few years, but could never really justify it. Then there’s this green (it seems to have sold out), which is one of my favourite colours, but I already have a sweater, albeit made from wool, in the same colour. This mint is also really beautiful (and also seems to have sold out), but unless I get a really great tan this summer, it’s probably not going work. And then I was back to the peach. It might also require a great tan, and I might finally be sick of pink once I actually get it in my wardrobe, but, I’ll never know if I don’t try, right?! I ordered the kit before I went to Denmark last week and was pleasantly surprise to find it had been delivered while I was away. With the release of the latest season of House of Cards on Netflix the timing was perfect and I have been knitting away ever since. The pattern description is really easy to follow and they have online videotutorials if you’re in doubt of anything. I’m almost halfway, and I’m hoping I’ll manage to finish it in time to bring it on our road trip in California in a week and a half, so definitely dedicating some time for knitting this weekend. What are you up to?